This past spring, Laura and I visited several of our suppliers in Wales and England. As the studio of Black Dragon Crafts and the workshop of Abbeyhorn are off the beaten track, we decided to rent a car in London and get the full British experience by driving to our destinations. Doing so was a great idea, but the pleasure of meeting hospitable people and taking in breathtaking countryside vistas quickly was joined by frustrating navigational difficulties. The obvious one—driving on the left side of the road—initially was a challenge, but after a turn or two, we felt like we had been doing it all our lives. Finding our destination, however, was another issue entirely. 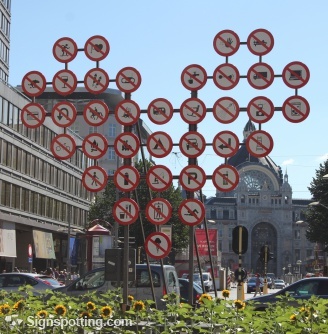 Street signs, to the American eye, are incomprehensible, roundabouts are inevitable, and addresses are invisible. Following a map is nearly impossible except for determining a general direction, and following directions given by well-intentioned humans can be just as confusing since one road looks pretty much the same as any other. Luckily for us, I had decided to purchase a GPS for the journey, and it turned out to be almost the best decision I have ever made. Yes, you can have one included with the rental car for about $20 per day, but since I know we will be visiting at least yearly, added to the fact that I could have it easily shipped to our daughter who was studying in London at the time, the unit was well worth the cash outlay. No more cursing, no more going the wrong way down an unmarked one-way street, and most importantly, no more arguments with my wife over which way to turn. While it was not infallible, the GPS certainly reduced the stress level by about 99 percent. Through its own special GPS (or satnav, as they call it in the UK) magic, it guided us successfully to Black Dragon, which is literally situated beautifully in the middle of nowhere. Unlike in the U.S., one doesn’t have to enter a street address into a GPS; instead, you enter the postal code, and it knows exactly where to direct you. Brilliant. As it announced a right turn onto Route A59, I thought I probably could have figured that out myself. Then it said to turn left at the next (unmarked) street. I thought, OK, maybe the GPS was a good investment. But all doubt was erased when it then told us to make a right turn right here, which was onto a dirt path. Really? Oh well, it hadn’t steered us wrong yet, so onto the path we drove. Imagine our excitement—and relief—as we winded about a half mile down the path and around a curve to find, lo and behold, Annie and her Black Dragon studio there before us. Yes, I exclaimed, buying the GPS was the best decision I have ever made. Laura, although just as happy, gently reminded me that, almost 33 years after asking her to become my wife, it was the second best decision I’d ever made. And you know what? I think she’s right.